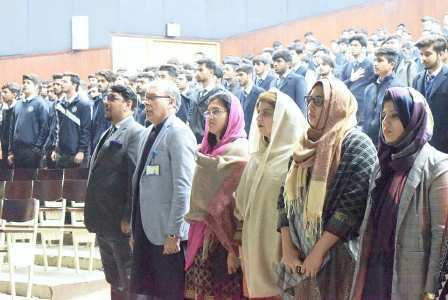 The Intermediate Guidance Office (IGO) organized an information session on Central Superior Services (CSS) for intermediate students, conducted by Honorable Madam Benish Fatima Sahi, Additional Secretary (Task Force), Agriculture Department, Government of Punjab and her team on 15 January, 2019 in Sinclair Hall. 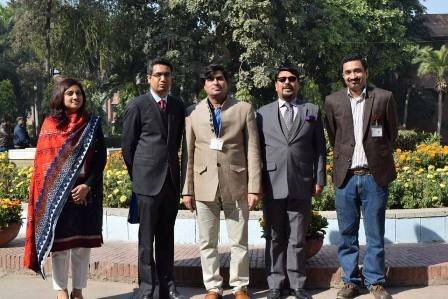 Advisor to the Chief Minister Punjab, Mr Omar K Malik was also present at the event. 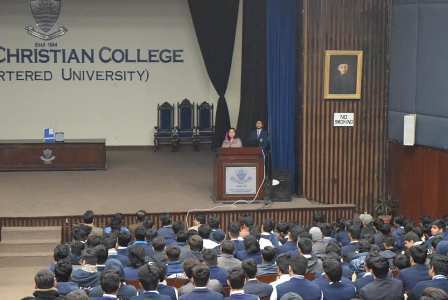 Madam Secretary informed the students about eligibilities and criteria for attempting the CSS examination in detailed and how students at intermediate level can start preparing themselves for a career in bureaucracy. She also shared her professional experience which she gained while serving at various positions. The session was attended by a very large number of students and faculty who had various questions to ask from the team. The Intermediate Vice Rector, Prof Dr Cusrow J Dubash was the Chief Guest at the event and presented Madam Secretary and her team with souvenirs.